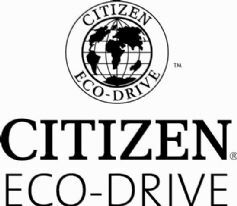 Founded in 1924, Citizen is so named because the founders wanted the brand to represent people from all walks of life. In the years since its foundation, Citizen is one of the largest watchmakers in the world. Citizen is not only one of the biggest watch manufacturers in the world, but also one of the most innovative. As inventor of the world's slimmest light–powered watch, voice recognition and the very first pro diving watch complete with depth sensor, Citizen can claim many firsts in the watch industry. Typical of this innovation is the ground breaking Citizen Eco-Drive technology which keeps the solar cell charged permanently by using any light source at all. This means that the watch will never run out of power if it is regularly exposed to light, whilst also being good for the environment because you never have to change the battery.